Woohoo! It’s May 30th! The month is almost gone, yay! I kid. I wish it was still like, May 10th. I don’t know why the year is going by so fast. Maybe because I haven’t had much time to breathe. I still have New Year’s cards sitting at my feet screaming for my attention, since I still have about seventy-five to send out. I know. Awful. 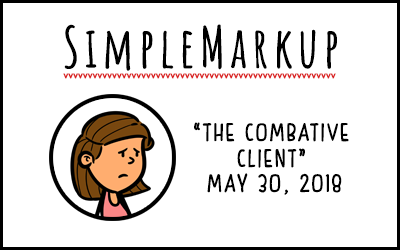 This week’s comic serves a different purpose: an introduction. I’d like you to meet a future recurring character! See if you catch the reference. Anyway, the Dread Author Roberts represents the client most editors never want: the combative one. The one who appears to have hired an editor just to have someone to fight with over every last word, comma, and grammar rule. 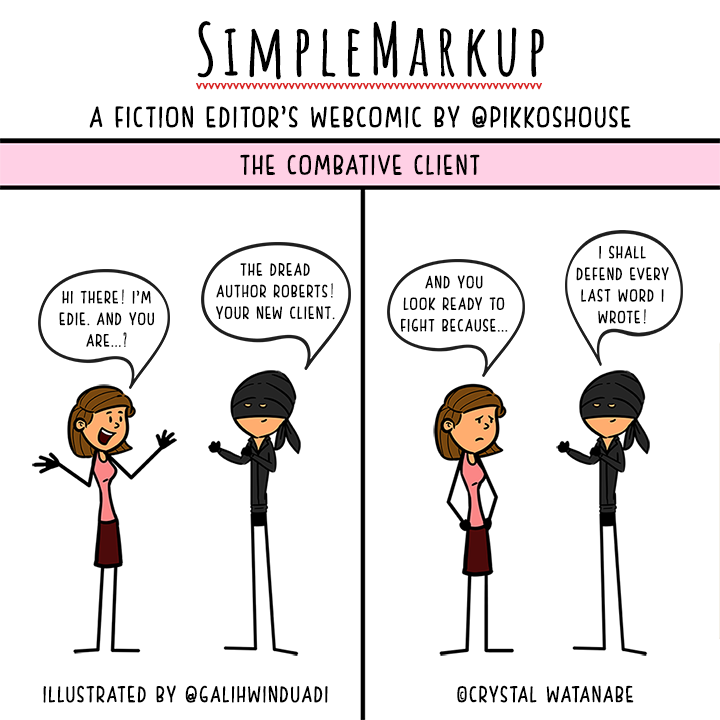 The combative client feels that certain rules don’t apply to their writing, but they won’t tell you which ones, because where’s the fun in that? I’ve thankfully never had one. I have clients who push back on edits, but this is actually a conversation I enjoy having, as it’s a learning experience for both sides. I love it when my authors reply to a comment now and then and ask me why I did something, simply because I enjoy talking it out. That said, a client like the Dread Author Roberts takes things way too far. I’ve heard stories about them, and it never sounds pretty.